We love our cars and hope you do too! Let us know if you have any questions about our inventory. 2018 Volkswagen Golf TSI S 4-Door Night Blue Metallic 1.8L 4-Cylinder TSI DOHC 16V Turbocharged Beige w/Cloth Seating Surfaces. While every effort is made to ensure the accuracy of the information on this site, errors do occur so please verify information with a customer service agent. Prices do not include destination charges or any additional accessories . A $499.00 Closing Fee is included in the advertised price. All prices and offers are before state, city and county tax, tag, title and license fees. Out of state buyers are responsible for all state, county, city taxes and fees, as well as title/registration fees in the state that the vehicle will be registered. All other discounts are contingent on approved credit through VCI. All prices and offers include all incentives which the dealer retains unless otherwise specifically provided. The full cash price charged at any dealership depends on many factors, including all products and services bought with the vehicle. Recent Arrival! 2019 Volkswagen Jetta 1.4T S White 1.4L TSI Cloth. 30/40 City/Highway MPG While every effort is made to ensure the accuracy of the information on this site, errors do occur so please verify information with a customer service agent. Prices do not include destination charges or any additional accessories . A $499.00 Closing Fee is included in the advertised price. All prices and offers are before state, city and county tax, tag, title and license fees. Out of state buyers are responsible for all state, county, city taxes and fees, as well as title/registration fees in the state that the vehicle will be registered. All other discounts are contingent on approved credit through VCI. All prices and offers include all incentives which the dealer retains unless otherwise specifically provided. The full cash price charged at any dealership depends on many factors, including all products and services bought with the vehicle. Recent Arrival! 2019 Volkswagen Jetta 1.4T SE Blue 1.4L TSI 30/40 City/Highway MPG While every effort is made to ensure the accuracy of the information on this site, errors do occur so please verify information with a customer service agent. Prices do not include destination charges or any additional accessories . A $499.00 Closing Fee is included in the advertised price. All prices and offers are before state, city and county tax, tag, title and license fees. Out of state buyers are responsible for all state, county, city taxes and fees, as well as title/registration fees in the state that the vehicle will be registered. All other discounts are contingent on approved credit through VCI. All prices and offers include all incentives which the dealer retains unless otherwise specifically provided. The full cash price charged at any dealership depends on many factors, including all products and services bought with the vehicle. 2019 Volkswagen Jetta 1.4T SE Blue 1.4L TSI 30/40 City/Highway MPG While every effort is made to ensure the accuracy of the information on this site, errors do occur so please verify information with a customer service agent. Prices do not include destination charges or any additional accessories . A $499.00 Closing Fee is included in the advertised price. All prices and offers are before state, city and county tax, tag, title and license fees. Out of state buyers are responsible for all state, county, city taxes and fees, as well as title/registration fees in the state that the vehicle will be registered. All other discounts are contingent on approved credit through VCI. All prices and offers include all incentives which the dealer retains unless otherwise specifically provided. The full cash price charged at any dealership depends on many factors, including all products and services bought with the vehicle. Priced below KBB Fair Purchase Price! 2019 Volkswagen Tiguan S Blue 2.0L TSI DOHC 22/29 City/Highway MPG While every effort is made to ensure the accuracy of the information on this site, errors do occur so please verify information with a customer service agent. Prices do not include destination charges or any additional accessories . A $499.00 Closing Fee is included in the advertised price. All prices and offers are before state, city and county tax, tag, title and license fees. Out of state buyers are responsible for all state, county, city taxes and fees, as well as title/registration fees in the state that the vehicle will be registered. All other discounts are contingent on approved credit through VCI. All prices and offers include all incentives which the dealer retains unless otherwise specifically provided. The full cash price charged at any dealership depends on many factors, including all products and services bought with the vehicle. 2019 Volkswagen Beetle 2.0T Final Edition SE Safari_Uni 2.0L TSI Cloth. 26/33 City/Highway MPG While every effort is made to ensure the accuracy of the information on this site, errors do occur so please verify information with a customer service agent. Prices do not include destination charges or any additional accessories . A $499.00 Closing Fee is included in the advertised price. All prices and offers are before state, city and county tax, tag, title and license fees. Out of state buyers are responsible for all state, county, city taxes and fees, as well as title/registration fees in the state that the vehicle will be registered. All other discounts are contingent on approved credit through VCI. All prices and offers include all incentives which the dealer retains unless otherwise specifically provided. The full cash price charged at any dealership depends on many factors, including all products and services bought with the vehicle. Recent Arrival! 2019 Volkswagen Tiguan S 2.0L TSI DOHC 22/29 City/Highway MPG While every effort is made to ensure the accuracy of the information on this site, errors do occur so please verify information with a customer service agent. Prices do not include destination charges or any additional accessories . A $499.00 Closing Fee is included in the advertised price. All prices and offers are before state, city and county tax, tag, title and license fees. Out of state buyers are responsible for all state, county, city taxes and fees, as well as title/registration fees in the state that the vehicle will be registered. All other discounts are contingent on approved credit through VCI. All prices and offers include all incentives which the dealer retains unless otherwise specifically provided. The full cash price charged at any dealership depends on many factors, including all products and services bought with the vehicle. 2019 Volkswagen Passat 2.0T Wolfsburg White 2.0L I4 TSI Turbocharged 25/36 City/Highway MPG While every effort is made to ensure the accuracy of the information on this site, errors do occur so please verify information with a customer service agent. Prices do not include destination charges or any additional accessories . A $499.00 Closing Fee is included in the advertised price. All prices and offers are before state, city and county tax, tag, title and license fees. Out of state buyers are responsible for all state, county, city taxes and fees, as well as title/registration fees in the state that the vehicle will be registered. All other discounts are contingent on approved credit through VCI. All prices and offers include all incentives which the dealer retains unless otherwise specifically provided. The full cash price charged at any dealership depends on many factors, including all products and services bought with the vehicle. Recent Arrival! 2019 Volkswagen Jetta SEL Green 1.4L TSI 30/40 City/Highway MPG While every effort is made to ensure the accuracy of the information on this site, errors do occur so please verify information with a customer service agent. Prices do not include destination charges or any additional accessories . A $499.00 Closing Fee is included in the advertised price. All prices and offers are before state, city and county tax, tag, title and license fees. Out of state buyers are responsible for all state, county, city taxes and fees, as well as title/registration fees in the state that the vehicle will be registered. All other discounts are contingent on approved credit through VCI. All prices and offers include all incentives which the dealer retains unless otherwise specifically provided. The full cash price charged at any dealership depends on many factors, including all products and services bought with the vehicle. Recent Arrival! 2019 Volkswagen Jetta SEL White 1.4L TSI 30/40 City/Highway MPG While every effort is made to ensure the accuracy of the information on this site, errors do occur so please verify information with a customer service agent. Prices do not include destination charges or any additional accessories . A $499.00 Closing Fee is included in the advertised price. All prices and offers are before state, city and county tax, tag, title and license fees. Out of state buyers are responsible for all state, county, city taxes and fees, as well as title/registration fees in the state that the vehicle will be registered. All other discounts are contingent on approved credit through VCI. All prices and offers include all incentives which the dealer retains unless otherwise specifically provided. The full cash price charged at any dealership depends on many factors, including all products and services bought with the vehicle. 2019 Volkswagen Beetle 2.0T S Black 2.0L TSI 26/33 City/Highway MPG While every effort is made to ensure the accuracy of the information on this site, errors do occur so please verify information with a customer service agent. Prices do not include destination charges or any additional accessories . A $499.00 Closing Fee is included in the advertised price. All prices and offers are before state, city and county tax, tag, title and license fees. Out of state buyers are responsible for all state, county, city taxes and fees, as well as title/registration fees in the state that the vehicle will be registered. All other discounts are contingent on approved credit through VCI. All prices and offers include all incentives which the dealer retains unless otherwise specifically provided. The full cash price charged at any dealership depends on many factors, including all products and services bought with the vehicle. Recent Arrival! 2019 Volkswagen Beetle Convertible 2.0T S Red 2.0L TSI 26/33 City/Highway MPG While every effort is made to ensure the accuracy of the information on this site, errors do occur so please verify information with a customer service agent. Prices do not include destination charges or any additional accessories . A $499.00 Closing Fee is included in the advertised price. All prices and offers are before state, city and county tax, tag, title and license fees. Out of state buyers are responsible for all state, county, city taxes and fees, as well as title/registration fees in the state that the vehicle will be registered. All other discounts are contingent on approved credit through VCI. All prices and offers include all incentives which the dealer retains unless otherwise specifically provided. The full cash price charged at any dealership depends on many factors, including all products and services bought with the vehicle. Recent Arrival! 2019 Volkswagen Tiguan 2.0T SE Red 2.0L TSI DOHC 22/29 City/Highway MPG While every effort is made to ensure the accuracy of the information on this site, errors do occur so please verify information with a customer service agent. Prices do not include destination charges or any additional accessories . A $499.00 Closing Fee is included in the advertised price. All prices and offers are before state, city and county tax, tag, title and license fees. Out of state buyers are responsible for all state, county, city taxes and fees, as well as title/registration fees in the state that the vehicle will be registered. All other discounts are contingent on approved credit through VCI. All prices and offers include all incentives which the dealer retains unless otherwise specifically provided. The full cash price charged at any dealership depends on many factors, including all products and services bought with the vehicle. Recent Arrival! 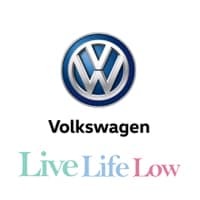 2019 Volkswagen Tiguan 2.0L TSI DOHC 22/29 City/Highway MPG While every effort is made to ensure the accuracy of the information on this site, errors do occur so please verify information with a customer service agent. Prices do not include destination charges or any additional accessories . A $499.00 Closing Fee is included in the advertised price. All prices and offers are before state, city and county tax, tag, title and license fees. Out of state buyers are responsible for all state, county, city taxes and fees, as well as title/registration fees in the state that the vehicle will be registered. All other discounts are contingent on approved credit through VCI. All prices and offers include all incentives which the dealer retains unless otherwise specifically provided. The full cash price charged at any dealership depends on many factors, including all products and services bought with the vehicle. 2019 Volkswagen Jetta SEL Premium White 1.4L TSI Leather. 30/40 City/Highway MPG While every effort is made to ensure the accuracy of the information on this site, errors do occur so please verify information with a customer service agent. Prices do not include destination charges or any additional accessories . A $499.00 Closing Fee is included in the advertised price. All prices and offers are before state, city and county tax, tag, title and license fees. Out of state buyers are responsible for all state, county, city taxes and fees, as well as title/registration fees in the state that the vehicle will be registered. All other discounts are contingent on approved credit through VCI. All prices and offers include all incentives which the dealer retains unless otherwise specifically provided. The full cash price charged at any dealership depends on many factors, including all products and services bought with the vehicle.